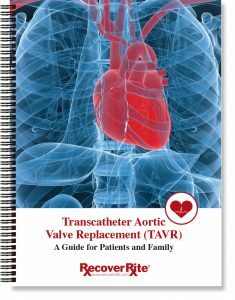 Transcatheter Aortic Valve Replacement (TAVR) is one of the fastest growing procedures in the cardiology. This minimally invasive heart valve replacement procedure is for patients with severe symptomatic aortic stenosis who were previously not candidates for open heart aortic valve replacement surgery. Recently, a new group of patients suffering from aortic stenosis became eligible for TAVR. The U.S. Food and Drug Administration (FDA) has approved an expanded indication for patients which will increase the number of TAVR procedures. These devices were previously approved only in patients at high or greater risk for death or complications during surgery, but now TAVR can be offered to any intermediate risk patients with severe symptomatic aortic stenosis. With this being such a new procedure, it is more important to have the right information about the procedure for your patients.